Journal on Rehabilitation of Torture Victims and Prevention of Torture. The journal seeks to enhance the understanding and cooperation in the torture field through diverse approaches. Its focus is not only biomedicine, psychology and rehabilitation, but also epidemiology, social sciences and other disciplines related to torture. The editors also wish to encourage dialogue among experts whose diverse cultures and experiences provide innovative and challenging knowledge to existing practice and theories. The Torture Journal is indexed in MEDLINE, the world’s largest and most respected database of biomedical literature, which represents an international acknowledgement of the publication’s value as a leading periodic on torture and the examination and treatment of torture sequels. Please go to Publications Page for the latest version of the journal, or to view the archive, or go to our new platform - a site devoted to Torture Journal readers and contributors. The video of the event “My mind is not like before”: Survivors of torture and trauma amongst refugees – identification and treatment can be found here, which was hosted by the Torture Journal. Please click here for a note from the Editor and an update from the team. Three issues per year are currently published. The Torture Journal is open access with all issues made available immediately online. Back issues from 2004 are also available online and copies of earlier issues are available on request. 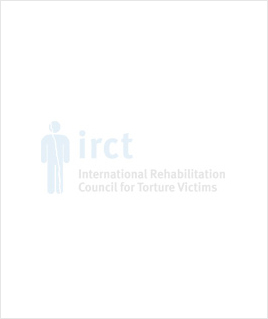 The IRCT distributes to a number of recipients free of charge because many face democratic and economic restrictions, or live in countries where torture and human rights violations are prevalent. If you are able, however, please use the online version to allow much needed costs to go elsewhere or make a donation. Please send an email to publications@irct.org specifying whether you wish to receive an email alert or a hard copy of the journal. If you wish to receive a hard copy, please specify your address and why you wish to subscribe, for example, that you work at an IRCT membership centre or with torture victims. Please note that the last two issues were unfortunately not sent out due to lack of funding. There is growing awareness of the need to explore optimal remedies to restore the physical, psychological and social well-being of torture victims. This publication is intended to provide a multidisciplinary forum for the exchange of original research among professionals concerned with the biomedical, psychological and social interface of torture. The journal seeks to produce state-of-the-art knowledge on methodologies, approaches and disciplines available to provide health-based rehabilitation. Furthermore, the editors wish to encourage dialogue among experts whose diverse cultures and experiences provide innovative and challenging knowledge to existing practice and theories. Selection of manuscripts will, amongst other things, be on the basis of the subject being worthy of investigation, as well as on the suitability of the research methodology and the soundness of the conclusions. Additionally, priority will be given to articles that provide original knowledge and information, particularly those with comparative and interesting or new perspectives. Articles categorised as clinical trials, research methodology papers, data based population examinations, critical or explaining case descriptions may in some incidences be preferred. The Torture Journal operates a double-blind peer review process which means that the manuscript, after a successful initial assessment, will be reviewed by two peer reviewers anonymously. The Torture Journal has launched a new platform where authors and contributors can find all the latest news about the journal and useful information. To submit an article, please follow the instructions found here. You may wish to submit an article aligning to our research priorities outlined here. Long-term effects of interventions: torture survivors in the Balkans region as a paradigm of reflection. Please see here for more details. Perspectives on sexualized torture and gender-based torture. Please see here for more details. Forced Migration and Torture: challenges and solutions in rehabilitation and prevention. Please see here for more details. The Torture Journal operates a double-blinded peer review process. Please see here for more details. Bernard Duhaime is Professor of International Law at the Faculty of Law and Political Science of the University of Quebec in Montreal (UQAM, Montreal, Canada), where he teaches mainly international human rights law and specializes on the Inter-American System of Protection of Human Rights. He also serves as a Member and President-Rapporteur of the Working group on enforced or involuntary disappearances reporting to the United Nations Human Rights Council. Bernard Duhaime is a Fellow of the Pierre Elliott Trudeau Foundation (2017-2021). He is currently a Visiting Scholar at the Faculty of Law of the University of Victoria in Canada. Previously, Mr Duhaime was a lawyer at the Inter-American Commission on Human Rights of the Organization of American States. He is a member of the Quebec Bar in Canada. Mariana Castilla is a social psychologist and has a master’s degree in human rights. She has worked at the Academy where she published a book and has designed curriculum. She was a deputy director of psychosocial care at the Human Rights Commission of Mexico City, coordinating reports of psychosocial impact on victims for the purpose of comprehensive redress. Currently, she cares for patients from a psychoanalytic approach and is a consultant for various institutions in the design of psycho-legal strategies for the documentation of serious human rights violations. She prepares psychosocial assessments for comprehensive purposes. She is a member of the National Network of Experts and Independent Experts against Torture and a member of the Collective Against Torture and Impunity (CCTI in Spanish) in the training area. Lenin Raghuvanshi is a Dalit rights activist from India and is one of the founding members of People's Vigilance Committee on Human Rights. He is working with the survivors of torture for more than 25 years. He developed Testimonial Therapy in Asian context along with Dr. Inger Agger and conceptualized the idea of torture free model villages and blocks. He developed more than 100 torture free model villages and more than 500 child friendly villages. He is representing PVCHR in various forums such as Global India (www.globalindia.eu) and providing his grassroot learning and experience in many national, regional and international fora. Raghuvanshi has called for the establishment of a neo-Dalit movement to eliminate the caste system and overthrow feudalism, thereby establishing a society based on equal dignity for all humankind. His work has been recognized with multiple awards, including the Special Mentions Prize of Human Rights of The French Republic. Tania Herbert has a Doctorate in clinical psychology, and has spent her career focused on working with people who have experienced torture and trauma. She has worked with organisations under the IRCT umbrella including Foundation House in Australia, the Centre for Victims of Torture in northern Kenya, and Counselling Services Unit (CSU) in Zimbabwe. She has worked across the globe, including monitoring immigration detention in Australia and the Pacific with Australian Red Cross and the ICRC, with people who have experienced violence and natural disasters in the Solomon Islands, and with survivors of human trafficking in Bangladesh. She is currently working as the Director of Research for CSU in Harare, Zimbabwe, and is completing a Masters of Human Rights Law. Steven H. Miles is Professor of Medicine and Bioethics Emeritus of the University of Minnesota. He has served on the Board of the Center for Victims of Torture in Minneapolis. The Society for Bioethics and Humanities awarded him its Lifetime Achievement Award. He has testified with regard to medical human rights violations in Guantanamo Bay and South Africa. For the last 15 years his work has focused on physician complicity with torture. In addition to many articles, he wrote Oath Betrayed: America’s Torture Doctors. His forthcoming book, Doctors who Torture: Condemn and Abide examines the global problem of impunity and the prospects for accountability for torture doctors. John W. Schiemann is Professor Government & Law at Fairleigh Dickinson University, Madison, New Jersey. He is the author of Does Torture Work? (Oxford University Press, 2016) and several articles on interrogational torture, including “Torturing Without a Parachute” (with Pau Pérez-Sales, Texas Law Review Online 2018); “Tortured Logic” (Torture Journal, February 2018); “Review Essay: Interrogating Torture” (Journal of Politics (October 2017); and “Interrogational Torture” (Political Research Quarterly (March 2012). He also has a paper on torture and the misuse of science with neuroscientist Shane O’Mara (Trinity College Dublin) under review at Politics and the Life Sciences and is working with collaborators at FDU’s School of Pharmacy on a review of pharmacotherapy treatments of torture victims. Professor Gavin Oxburgh is a Practitioner Forensic Psychologist (HCPC Registered), a Chartered Psychologist and Scientist, a Fellow of the UK Higher Education Academy, and an Associate Fellow of the British Psychological Society (BPS). He is a member of the School Executive and is the Lead Forensic Psychologist at Newcastle University. He is also a registered Expert Witness with the BPS, providing advice in legal cases in the UK and overseas. Prior to academia, Gavin had a highly successful 22-year career with the Royal Air Force Police where he was a senior detective specialising in child protection and sexual offences, serving throughout the UK and across Europe. He is an Associate Professor at the Norwegian Police University College, Oslo, and a Visiting Senior Lecturer at the Institute of Psychology, Psychiatry and Neuroscience, Kings College London. Jens Modvig has used his background as a medical doctor and PhD in public health in the fight against torture for more than 20 years. He has undertaken numerous visits to institutions where people are deprived of their liberty in his work related to the health component of the Danish National Preventive Mechanism under OPCAT. Dr. Modvig is currently Clinical Associate Professor in social medicine and rehabilitation at the Faculty of Health Sciences, University of Copenhagen, as well as the Director of Health Department, Chief Medical Officer in DIGNITY – Danish Institute Against Torture. He is also a member of the International Forensic Expert Group facilitated by the IRCT. He has been a member of the United National Committee against Torture since 2013 and chair since December 2015. Jim Jaranson has been working for survivors of politically motivated torture from diverse cultures for more than 30 years. He was Director of Medical Services at the Centre for Victims of Torture in Minneapolis and is currently vice-president, board of directors, and chair, Strategic Planning Committee, Survivors of Torture-International in San Diego. He is a member of the US-based National Consortium of Torture Treatment Programme’s Research and Data Committee. He has co-chaired the Section on the Psychological Consequences of Torture and Persecution of the World Psychiatric Association and was a board member of the Society for the Study of Psychiatry and Culture. Dr Jaranson has written and lectured on many aspects of the care of refugee patients and torture survivors and has worked in cross-cultural mental health settings since medical school. Hans Draminsky Petersen is a Danish medical doctor and specialist in medicine and in gastroenterology. Since 1979 he has worked for various NGOs in the anti-torture sector, mainly with medical documentation of torture and epidemiology of torture and other human rights violations. He has participated in the planning and implementation of fact-finding missions in Asia, Africa, Latin America and Europe. Dr Draminsky Petersen has worked for DIGNITY - the Danish Institute Against Torture, and from 2007 to 2014 he was a member of the UN Subcommittee on Prevention of Torture, acting as vice-chairperson for four of those years. He has also participated in training workshops for national preventive mechanisms. Dr S. Megan Berthold is an Assistant Professor at the University of Connecticut’s School of Social Work. She co-chairs the US-based National Consortium of Torture Treatment Program’s Research and Data Committee. Dr Berthold has worked as a clinician and researcher with diverse refugee and asylum-seeking survivors of torture, war traumas, human trafficking, and other traumas since 1987. She was a clinician and educator in refugee camps in Nepal, the Philippines, and on the Thai-Cambodian border and provided community mental health services to Southeast Asian and other refugee and immigrant groups in the US. She served as a therapist for 13 years and the Director of Research and Evaluation at the Programme for Torture Victims in Los Angeles. Nora Sveaass is a specialist in clinical psychology, with a focus on clinical work with traumatised refugees. Dr Sveaass has extensively collaborated with professionals across the globe in the area of trauma and human rights violations. She is an Associate Professor at the Department of Psychology at Oslo University; teaching about human rights and psychology, family therapy and psychological work with refugees and victims of torture, as well as sexual violence against women in conflict. Dr Sveaass has carried out research on transitional justice in Argentina and Peru, and on victim participation in the International Criminal Court in the Hague. She has been a member of the UN Committee against Torture and has been an elected member of the UN Subcommittee on Prevention of Torture since 2013. She is additionally Chair of the Human Rights committee in the Norwegian Psychological Association, and former leader of the International Society of Health and Human Rights. José Quiroga has worked as a physician for torture survivors for more than 40 years and as Medical Director of Program for Torture Victims (PTV) for 34 years. He has been a Member of the Executive Committee and Advisory Board of the US-based National Consortium of Torture Treatment Programs (NCTTP) Research Data Project since 1999. Numerous academic appointments have included posts at the Department of Public Health at the University of California and extensive research and teaching positions, including President of the Scientific Committee for the International Society for Health and Human Rights (ISHHR) Conference in 2011 and advisor on a number of University Committees. The current Editor in Chief is Pau Pérez-Sales MD, PhD. Pau is a psychiatrist with over 20 years of experience and Director of the SiR[a] Centre in Madrid. He has a wealth of experience in that he has, amongst other things, founded a centre for medico-legal cases of victims of torture, been Associate Editor of the journal Intervention and acted as an expert at the Inter-American Commission of Human Rights. Pau has also worked throughout Central and South America with human rights groups, communities and grass root organisations, as well as published widely on a range of subjects, including trauma, forced disappearance, transcultural psychiatry and psychosocial work. The editorial team is supported by IRCT staff member Harry Shepherd who is the Assistant Editor a.i., an intern and a volunteer.